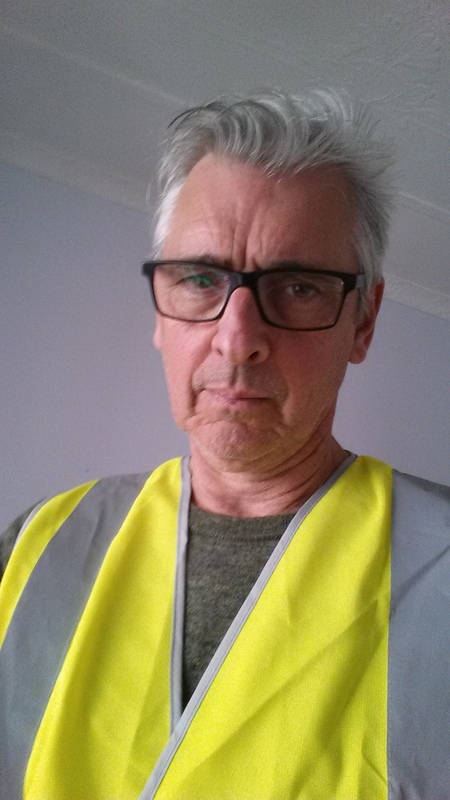 Sydney novelist Stuart Campbell took a break from writing today to try on the Hi Vis vest he plans to wear when he casts his vote in Australia’s Federal Election on 2 July 2016. Interviewed this morning by emerging social commentator Lesley Latte*, Campbell said, “Like the Prime Minister and the Leader of the Opposition on the campaign trail, I like to slip on the Hi Vis when the going gets tough. I’ve come up with some of my best stories wearing this outfit”. You can read more about books written by a man in a Hi Vis vest here. Egg on my face … no, that won’t do it.